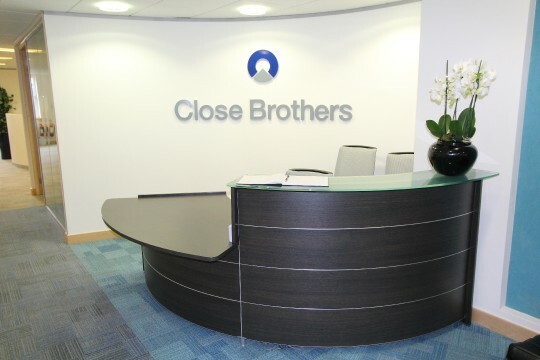 Close Brothers are one of the UK’s leading merchant banking groups – providing a range of financial guidance, investment management and online investing to private, institutional and corporate clients together with professional advisers. We were able to meet the requirements of the brief quite early on by quoting and specifying the contemporary ‘Luna Reception Desk’ which is extremely stylish due to its simplistic modular panel shapes that are available within the range. After the initial project brief we were sent a full scale floor plan - from this we were able to obtain an overview of the space and provide potential ‘Luna’ desk configurations to our client. We planned out each proposed desk using our industry standard cad design program ‘pCon’ this allowed us to tailor a desk which adhered to all of the above project specifications. 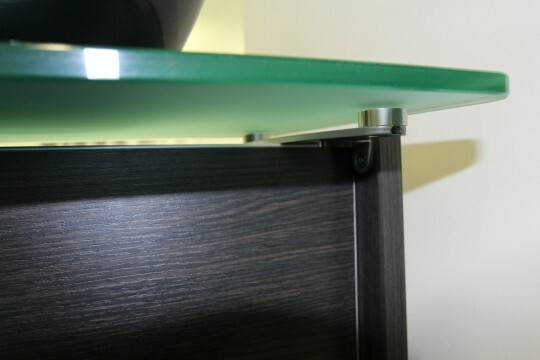 In this instance, we supplied the Luna Desk Configuration 5 in a rich dark oak finish – the 2000mm wide x 1100mm deep unit is constructed using a curved full height counter unit with a 12mm frosted satin glass top, complete with a 1000mm wide straight desk height section making the desk compatible for wheelchair users. 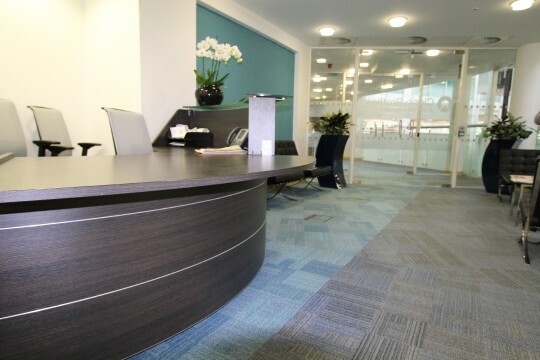 The Close Brothers team were extremely happy with the installation and the specification of the furniture supplied. We would like to wish them luck within their new premises and hope to work with them on any forthcoming project requirements.